Which merchant account suits your needs? 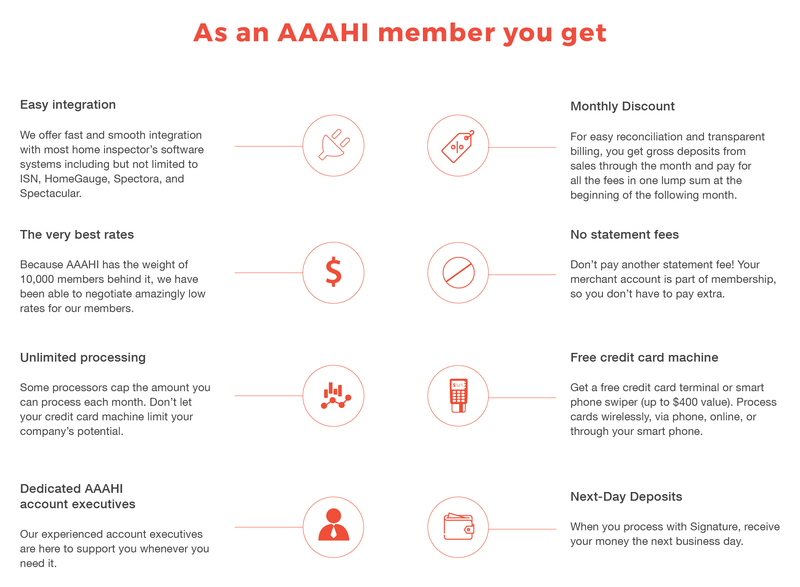 Our AAAHI Inspector's exclusive offer combined with our understanding of your business will open new possibilities for you. 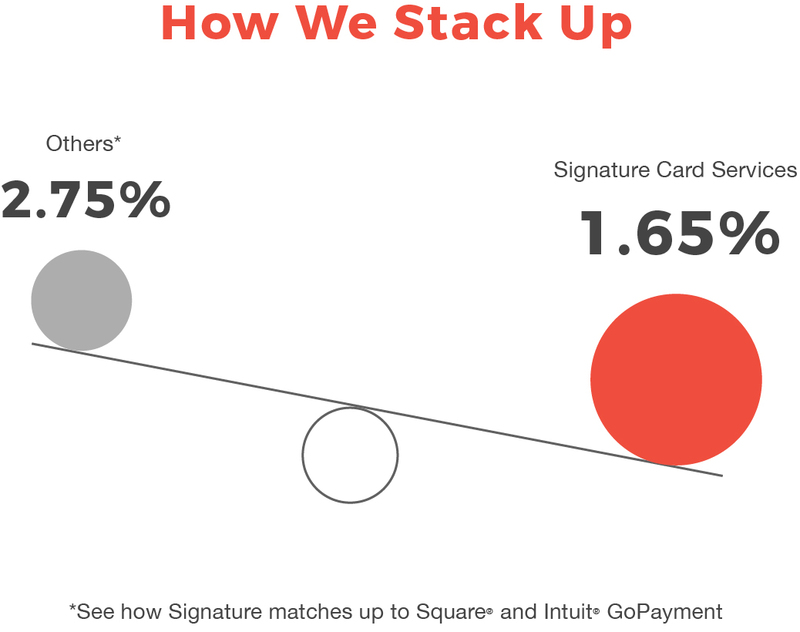 Homeowners will appreciate the convenience of paying with a credit card and see you as that AAAHI Inspector that stays current with the newest payment trends. Use Signature's credit card processing calculator to determine the best way to process credit cards for your business (based on average inspection fee and volume). * All fees are estimated based on typical program usage. Fill out the form below and a Signature team member will reach out to you promptly.